Well this happened: Let’s just get right down to it because there aren’t enough words to express how cool this is! This man needs no introduction as his makeup work says it all. But he has carved out an amazing career as an actor and a director also. He has inspired generations to do makeup and effects. Kids are still inspired by the amazing work he has done in the effects world. Some of his work is shown off in “Dawn of the Dead”, “Friday the 13th”, and “Creepshow”. To this day I feel he did amazing work directing “Night of the Living Dead 1990”, but also was hilarious in such projects “From Dusk till Dawn” and “Machete”. He is truly the man, the myth, the legend, Tom Savini! 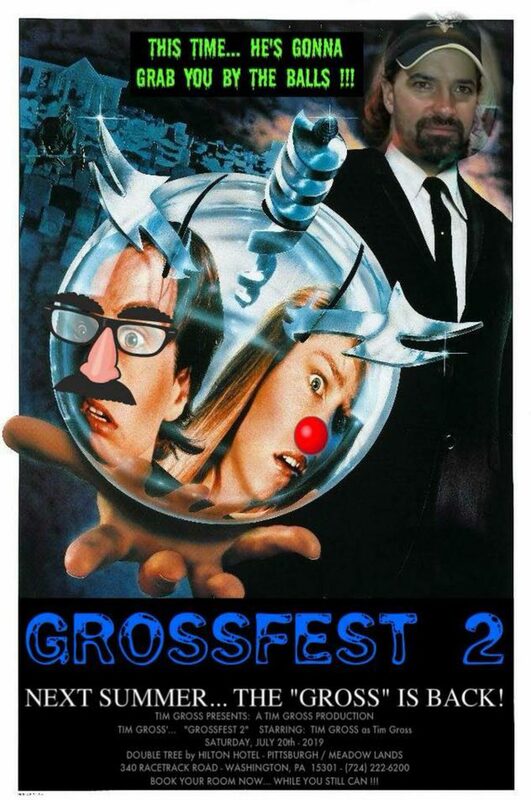 We welcome Tom in joining our guest list for Grossfest 2019. www.grossfest.com #grossfest , #grossfest2019 , see yinz there!